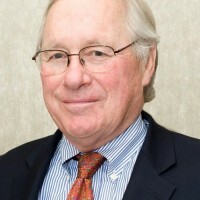 Dave Ballinger graduated from the University of Ottawa with a Bachelor of Arts in Canadian history. He had a 33 year career with Parks Canada in various management positions predominantly on the heritage canals. Prior to his retirement from Parks Canada, he was the Director of Operations for the Rideau Canal National Historic Site and World Heritage Site. Dave is a founding partner and principal of The Canals Group which is a registered partnership of management consultants with expertise and experience in the operation, management, protection and presentation of historic canals, waterways, corridors, natural and historic parks and trails. He is finishing his third term as President of Inland Waterways International (IWI). The organization brings together people and organizations who support the conservation, use, development and proper management of navigable inland waterways worldwide. The World Canals Conference comes under the auspices of IWI. Marc Barone is managing director of AECOM’s water business in the UK and Ireland. 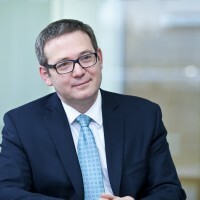 Since joining AECOM in January 2015 he has helped drive technical excellence and innovation in the water sector by supporting delivery of projects such as the Hydro Nation Water Innovation Service and the North Glasgow Integrated Water Management System, Scotland, as well as the Thames Tideway Tunnel, London. He brings experience from a broad range of sectors, including utilities, highways, rail and aerospace, in both construction and support services, and was a non-executive director for Central Salford Urban Regeneration Company, delivering regeneration programmes across Salford, UK. He trained as a civil structural engineer at the University of Maryland (BSc) and Lehigh University (MSc), and holds an MBA from the London Business School. Born in Montevideo, Uruguay, Marc grew up in the US and is now a US and UK citizen. Chris Brown founded the igloo business in 2001 with the belief that value is created from sustainable approaches to regeneration. With collaborators, Chris spearheaded the launch of the igloo regeneration fund, managed by Aviva Investors. This was described by the United Nations as “the world’s first responsible real estate fund” and uses the internationally acclaimed sustainable investment policy, footprint®. Through his founding purpose ‘to do well by doing good for people, place and planet’, Chris has led igloo to deliver some of the most recognised impact driven schemes in the UK. Chris is now taking the igloo approach to emerging markets such as UK custom build and community led development to create competitive advantage and investor value. Dr Jonathan Chambers is a principal research geophysicist and the leader of the Geophysical Tomography Team at the British Geological Survey. 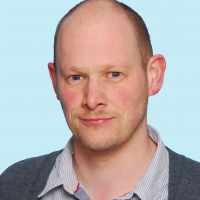 Jonathan is also a Natural Environmental Research Council (NERC) Knowledge Exchange Fellow for Infrastructure and an honorary lecturer at the University of Nottingham. He has published 50 peer-reviewed journal papers, and more than 80 papers at international scientific and industry conferences, and is currently co-editor-in-chief of the Journal of Applied Geophysics. 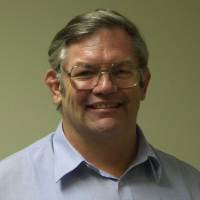 His research has a strongly applied and industrial focus, and is concerned with the development of geophysical, geotechnical and environmental monitoring methodologies, and their application to groundwater and slope stability problems. He has been working with Scottish Canals and the Canal & River Trust for several years to develop new geophysical systems for monitoring earthworks within the canal network. Dr Sebastien Chastin is a tenured Reader in Physical activity and health at the Institute of Applied Health Research at Glasgow Caledonian University. He received BSc in metrology, a Master in Rehabilitation Sciences and a PhD in Non-linear physics. He is a fellow of the Royal Statistical Society. Previously he had post at the British Antarctic Survey, Oxford and Edinburgh Universities. His research focuses on human movement behaviour. Understanding why, when and how people decide to move or not, is crucial to promoting healthy movement behaviour. He is the UK lead for the Global Citizen Science Network that promote empowerment of individual and communities to create change in their environment to make it more conducive to physical activity and healthier. 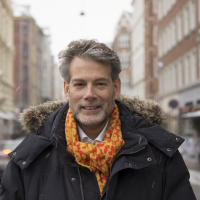 Currently Sebastien heads the sedentary behaviour investigations for the European Knowledge hub on Determinants of Diet and Physical activity (DEDIPAC) as well as a large portfolio of projects on the determinants of movement behaviour in older adults and clinical populations. 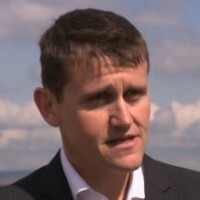 Steve Dunlop joined British Waterways in 2006 as Director Scotland. Formerly, he was Director of Regeneration for Newcastle City Council and, prior to that, held a Directorship at Falkirk Council. Steve is regarded as a ‘regeneration specialist’ and is a director of a range of joint venture property companies looking after Scottish Canals’ interests. He has a wide variety of hobbies, including cycling and photography. 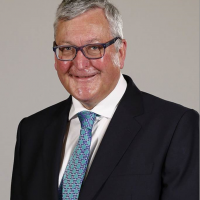 Fergus Ewing was appointed Cabinet Secretary for the Rural Economy & Connectivity in the Scottish Government in May 2016. He had previously served as Minister for Community Safety, from 2007 to 2011, and in 2011 was appointed Minister for Energy, Enterprise and Tourism. In November 2014 the portfolio became Business, Energy & Tourism. He was elected to the Scottish Parliament in 1999 for the constituency of Inverness East, Nairn and Lochaber, has been re-elected on each of the four subsequent elections, moving from a majority of a nerve-wracking four hundred and forty one to a more substantial total of nearly ten thousand for the seat of Inverness and Nairn. Fergus graduated from Glasgow University with an degree in law and after qualifying as a solicitor, he ran his own legal practice and small business for 17 years. He was a member of the Federation of Small Business and the Scottish Council for Development and Industry. 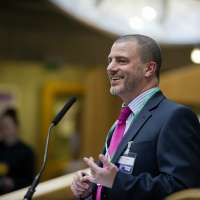 He also developed policy of the Scottish National Party – on business legal and taxation matters – as well as serving on its National Executive Committee and as a Vice Convenor. 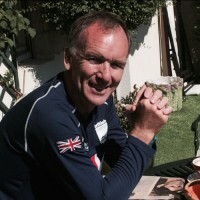 A former member of the Lomond Mountain Rescue Team, he in the eighties tackled around two thirds of Scotland’s Munros, then in the nineties brought up the rear in some marathons. He enjoys thumping out some jazz numbers on the piano and spending time with his family. He is the son of Winnie Ewing, former MP and MEP & MSP for the Highlands & Islands, was husband of the late Margaret Ewing MSP for Moray and is brother of Annabelle Ewing, MSP for Cowdenbeath. He is a member of the Church of Scotland and of the Law Society for Scotland. Daniel Fábrega was educated in Panama and the United States, earning a Bachelor’s Degree in Business Administration at Loyola University in New Orleans, followed by a Master’s in Business Administration at the Universidad Latinoamericana de Ciencia y Tecnología (ULACIT) in Panama. Before his appointment as Ambassador, Mr. Fábrega served as a Company Director and the Vice President for Exports for Varelas Hemanos S.A. Under his watch, the company’s worldwide sales more than doubled, helping to provide yet another element to Panama’s thriving business economy. From fighting to clean up long-festering toxic waste sites and reducing damaging acid rain to championing groundbreaking laws to increase recycling and protect residents from dangerous secondhand cigarette smoke, Alexander “Pete” Grannis has been driving environmental change for more than three decades. Currently First Deputy Comptroller for the New York State Office of the State Comptroller, Mr Grannis previously served as Commissioner of New York State Department of Environmental Conservation where he positioned New York as a global leader in the fight against Climate Change. Also acting as Commissioner on the Erie Canalway National Heritage Corridor Commission, Mr Grannis drove forward a range of priorities with the goal of creating a cleaner, healthier environmental future. Mark Horton is a passionate advocate of all things maritime. He has worked as an archaeologist around the world with projects in Panama, the Caribbean, East Africa, USA and Egypt as well as in the UK. His research interest centres around globalisation and the origins of world trade – from prehistory to the Industrial era. 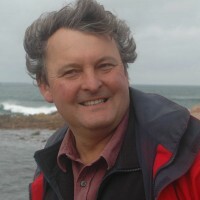 He has presented BBC Coast as the ‘resident’ archaeologist and historian since its beginning in 200, and this has taken him to several ship canals around the UK and continent. He is Vice President of Cotswolds Canals, and takes an close interest in the ongoing restoration of the Stroudwater Navigation in Gloucestershire. 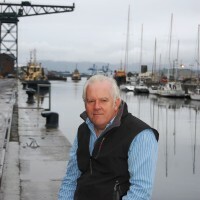 Martin Latimer has held senior positions within the Scottish marine leisure industry for over 25 years and brings with him a wealth of experience in commerce, marketing and customer relations. “Having lived and sailed in Scotland for over 30 years, I believe there is still enormous potential to increase the transits, tourism and extended use of each of the major waterways. The canals also have an important role to play in increasing East / West boating tourism in Scotland. I look forward to visiting each of the canals again over coming months.” Martin is a member of the Audit & Risk Committee. John Lauder was born in Coldstream, Berwickshire where the walking and cycling habit took hold. After working in school, academic and national libraries he took a change of career and joined Sustrans Scotland in 2005. Since then the organisation has grown substantially, both operationally and in terms of the role it plays nationally. Sustrans mission is to enable people to travel by foot, bicycle or public transport for more of the journeys they make every day. Sustrans Scotland has a staff of 64 and an annual budget of £25m. Sustrans Scotland works in many ways: it helps create public space for pedestrians and cyclists by managing funds for Transport Scotland and distributing them through partnership infrastructure projects with local authorities and other stakeholders. It continues to develop the National Cycle Network in Scotland, which is currently 2,000 miles long and carries over 103m trips annually. Sustrans also works directly with people of all ages to help choose to walk and cycle more frequently for short trips through smarter choices projects and community-led street design. 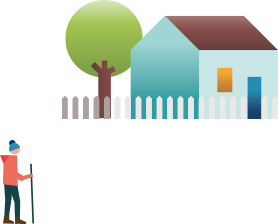 In addition, Sustrans aims to influence government policy and deliver innovative and imaginative projects, all aimed at allowing people to live active lives. Sustrans Scotland’s best known projects are the award winning Street Design initiative, Community Links, which delivers partnership infrastructure projects across Scotland, I-Bike, which works in schools and the National Cycle Network. Sustrans Scotland is a devolved office of Sustrans UK, which is the UK’s leading sustainable transport charity, encouraging people to travel in ways that benefit their health and environment. Sustrans has 2,000 supporters in Scotland and over 500 Volunteers, people who give up their spare time to assist us in our work. Sustrans’ principal objectives are to help reduce carbon emissions and to tackle health issues by enabling people to choose to travel actively every day. 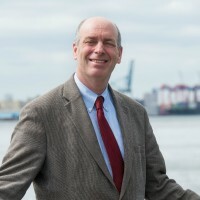 Roland Lewis is President and CEO of the Waterfront Alliance. A lifetime New Yorker, Roland studied planning and law at Columbia and Rutgers Universities. After nine years as a partner at a law firm, he became Executive Director of Habitat for Humanity NYC where he guided it to become a national model of Habitat urban success. 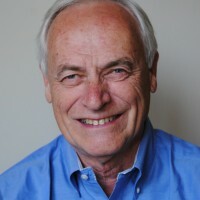 In 2007, Roland took the helm of the Waterfront Alliance. Under his leadership, the Waterfront Alliance has organised a growing constituency for a vibrant, healthy, resilient, and accessible waterfront; instituted programs to provide water access; and become the leading waterfront policy organisation in the New York region. Riccardo Marini is one of the most influential architects and urban planners of modern times and works all over the globe to spread his vision and ideas. He was born in Pistoia, Tuscany and went on to graduate from the Mackintosh School of Architecture. Considered to be an inspirational speaker he regularly gives keynote lectures on place-making and governance. As an architect he would define himself as a modernist. Riccardo loves design and designing but is fascinated by what makes places work. He believes that people have to be central to the process of creating our future settlements and in our endeavours to rethink our existing ones. For many years he has endeavoured to show that the real value of place is far more profound than monetary value alone but that the economic indicators which drive a lot of the current decision making can only be achieved and sustained if you create the genuine article, a place that makes people happy. 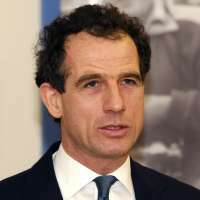 David Mitchell joined Historic Scotland in 2002. He became Director of Conservation in 2008 and took over as acting CEO in April 2016. 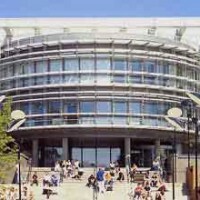 He holds undergraduate and postgraduate degrees in earth sciences and a PhD in architecture. Before joining Historic Scotland, he was managing director of a private firm of industrial heritage consultants and contractors. 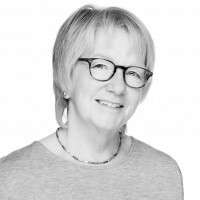 Dr Mitchell has been active in the fields of traditional skills and materials, and digital documentation for several years, and has a particular interest in industrial heritage and the Scottish architectural iron founding industry. He led the innovative Scottish Ten project to document 10 heritage sites around the world. More recently, he’s worked on the Engine Shed, Scotland’s new building conservation centre. 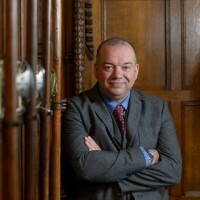 Dr Mitchell is a member of the Institute of Historic Building Conservation and a trustee of Scouts Scotland, the Scottish Ironwork Foundation and the Stirling Smith Museum and Art Gallery. Historic Environment Scotland has been established as the lead public body for the historic environment, building on the strength of both Historic Scotland and the Royal Commission on the Ancient and Historical Monuments of Scotland (RCAHMS). It acts as a key partner in the delivery of Our Place in Time, the new strategy and shared ambition for Scotland’s historic environment. Professor Steven Mithen is Deputy Vice Chancellor and Professor of Early Prehistory at the University of Reading. Having originally studied Fine Art at the Slade School, he took a BA in Prehistory & Archaeology at Sheffield University, an MSc in Biological Computation from York University and a PhD in Archaeology at Cambridge University. Steven’s research interests concern early prehistoric communities and the evolution of human intelligence, language and music, with long-term field projects in Western Scotland (Mesolithic) and Southern Jordan (early Neolithic) and, more recently, North-East China (Neolithic). His recent books include After the Ice (2003), The Singing Neanderthals (2005), The Early Prehistory of Wadi Faynan (2007),Water, Life & Civilisation (2011) and Thirst: Water and Power in the Ancient World (2012). He was elected as a Fellow of the British Academy in 2003. 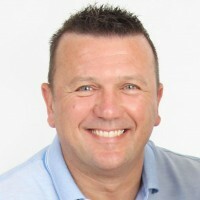 Darren Parkinson has been in his current role as the National SCADA ICA Manager for the Canal & River Trust (formerly British Waterways) since 2009. He leads a team of professional and technical staff providing specialist Engineering services throughout the organisation. Darren is responsible for the Trusts Supervisory Control & Data Acquisition (SCADA) system and for the Trusts Instrumentation, Control & Automation (ICA) systems. This responsibility extends to both the strategic development and vision of these systems together with their operationally critical performance. 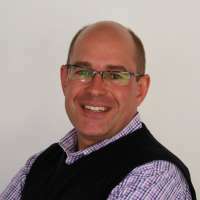 Darren has over 15 years experience of leading multi disciplinary schemes and has been intrinsic in the development of the Trusts water control and water monitoring network over the last 20 years. Professor Bruce Prideaux holds the position of Director of the Centre for Tourism and Regional Opportunities at the Cairns campus of Central Queensland University and is the program director of the Masters of Sustainable Tourism Management. He has a wide range of research interests including protected area tourism, rural tourism, remote area tourism, indigenous tourism, urban tourism, river and canal tourism and climate change. Other active areas of research include military heritage, tourism transport, ecotourism. He holds a Visiting Professorship at Taylors University Malaysia and has authored over 300 journal articles, book chapters and conference papers on a range tourism related issues. He has also authored or co-authored 10 books, the most recent of which look at climate change issues and global rainforest tourism. Current projects include a book looking aspects of coral reef and how tourism can be used in rural development. Dame Seona Reid was awarded a CBE in 2008 and became a Dame in the 2013 New Year Honours for services to the creative industries. Her professional career has spanned performing arts, arts funding and development and higher education in art, design and architecture. Seona is currently Chair of the National Theatre of Scotland; Chair of Cove Park, an artist residency centre in Argyll; a Trustee of the Edinburgh International Cultural Summit; Deputy Chair of the National Heritage Memorial Fund and Heritage Lottery Fund; a Trustee of the Tate; and Scottish Commissioner to the UK-US Fulbright Commission. A Fellow of the Royal Society of Arts she was recently appointed a Fellow of the Royal Society of Edinburgh. Peter Robinson is a Chartered Civil Engineer and a Fellow of the Institution of Civil Engineers, with over 18 years’ experience of working on flood risk and surface water management and infrastructure projects across the UK and ME. Highlights of his career include co-authoring CIRIAs UK Water Sensitive Urban Design Guidelines, Jeddah Stormwater Drainage Programme and the Green Networks Integrated Urban Infrastructure project. As a Director with AECOM he has been supporting Scottish Canals, formerly British Waterways Scotland over the last 6 years in enhancing the understanding of the operation of the canal system and identifying and developing opportunities to diversify the use of the existing infrastructure. Andrew Thin is currently Chairman of Scottish Canals, and a Non-Executive Director within the Scottish Government. He has almost thirty years of experience in leadership roles in the public, private and third sectors, and has a particular interest in strategic and cultural leadership. He coordinated the work of the Agricultural Holdings Legislation Review Group in 2014, and in June of this year was appointed as Independent Adviser on Tenant Farming to the Scottish Government on a part-time and interim basis pending passage of the Land Reform Bill. 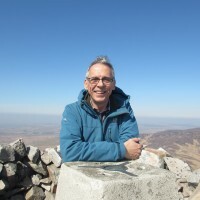 His previous public sector roles have included Crofters Commissioner, Chair of the Cairngorms National Park Authority and Chair of Scottish Natural Heritage. He lives near Inverness with his wife and two children, and in his spare time enjoys hill walking, cycling and sea kayaking. Darlene Upton has been with Parks Canada for 20 years in various roles. 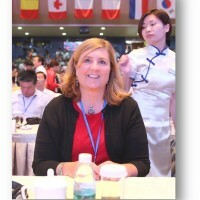 In 2012 she was appointed as the Agency’s first Waterways Executive Director and in 2016 this role changed to also include the 5 national parks, 1 national urban park, 31 historic sites and 2 marine conservation areas in Ontario, in addition to the historic waterways in Quebec and Ontario. In her role, Darlene is responsible for developing innovative approaches to address the unique challenges of managing heritage canals. She works with multiple levels of government, business and industry partners and was recently awarded the Gord Blake Visionary Award for leadership in the marine industry in Ontario. Darlene draws much inspiration for her work from her passion as an avid traveller and her love of arts and music.